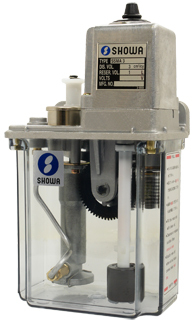 * Cycle times and discharge volumes are fixed and cannot be adjusted. * An oil level detecting Float Switch can be attached to this unit. ©2010 Devco Corporation. All rights reserved. Devco is a registered trademark of Devco Corporation. All other brands or products names, marks and logos are trademarks or registered trademarks of their respective companies.